Most teachers I know have a deep interest in words and academic language. That’s probably why many of us became teachers— so we could expand and deepen students’ vocabularies and in turn make them stronger readers, writers, speakers and thinkers. Right? Unfortunately, most teenagers are not inherently “word nerds” like we are. In addition to teaching students new words, it is our responsibility to make them more aware and interested in the words they encounter in their daily lives. We talk about foundations and scaffolds, but how can we build students’ vocabularies? How can we create a class culture that values curiosity and consciousness about new words? How can we raise students’ word consciousness? Here are a few strategies I have found successful. How useful is the word? Can you use it in different situations? Is the word used frequently? Could it appear in different texts? Is the word’s meaning easy to explain in everyday language? Does the word refer to something concrete or abstract? Does the word have multiple meanings? Does the word have a prefix, suffix, or identifiable root? For the past several years, I have used a strategy called “Word Wizard” in which students are “challenged” to identify their vocabulary words in the real world. Students are awarded points when they see vocabulary words in books, newspapers, magazines or on the internet. They also earn points when they hear vocabulary words on the radio, TV or in conversations with family members. When possible, I ask students to bring in the artifact with the word and always explain to me the word’s meaning in that context. Some students get into the challenge more than others but I regularly have students eager to share with me the words they are noticing outside of school. They experience a process of discovery, like a bird watcher spotting an elusive bird. 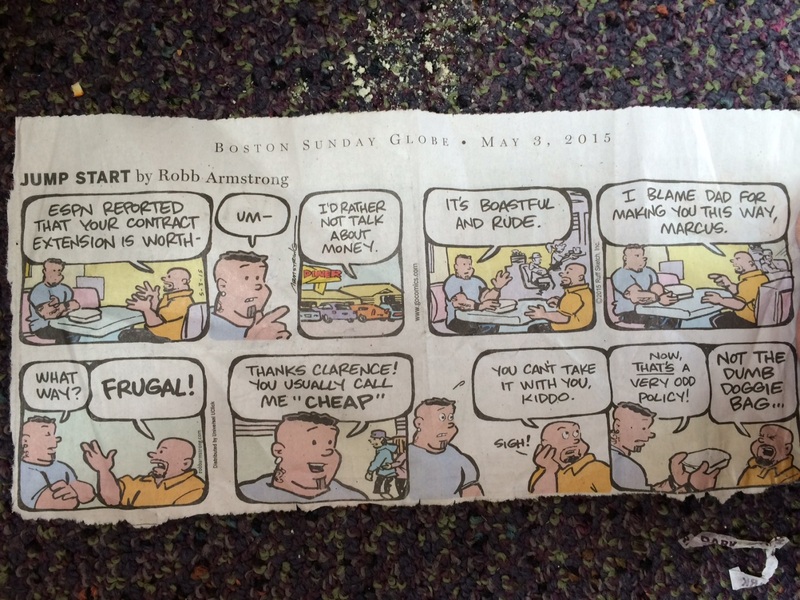 Yesterday a student brought me this cartoon that included two of our vocabulary words—“frugal” and “boastful.” She was also able to explain to me why it was funny. After noticing that students were overusing words like “angry” and “scared” when describing character’s emotions, I had to figure out a way for them to be more precise with their language. I provided students 12 synonyms and asked them to work with a partner to sort them based on strength. Not only were students talking about the nuances between word choices, they had a word bank at hand to use and refer to when reading and writing. I have really enjoyed talking to students about the words they encounter in their lives and seeing them increase their awareness and interest in words. Not only have these activities reinforced the significance of what we learn in school and their relevance to students’ lives, they provide an opportunity to build positive relationships with students built around words. Best of all, their word consciousness should positively impact their reading across the curriculum.